The Vavilov Institute of Plant Industry and its Pavlovsk station are trying to retain land that has already been given to a housing construction development fund by the Russian State Property Management Agency. The collection of plants of the Pavlovsk Experimental Station near St. Petersburg in northern Russia should not be lost as the station struggles in court to retain two land plots with fruit and berry crops, Biodiversity International research center director general Emile Frison said. The land contains a unique crop collection established by academician Nikolai Vavilov, and the station hopes it will be allowed to continue using the land. A regular court session on the issue will take place on Wednesday. 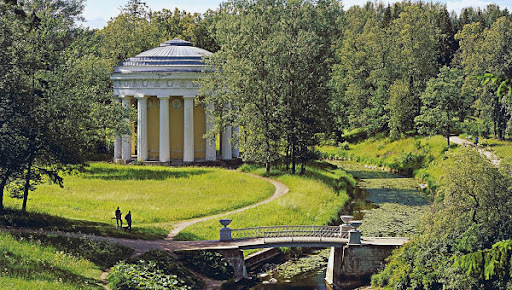 “The importance of Pavlovsk and all collections of genetic diversity lies not in the past but in the future. How will Russian agriculture cope if this year’s heat wave becomes the normal pattern for the future?” Frison told RIA Novosti. “It is impossible to predict which particular bits of the collection will be needed in future; what is certain is that it will be needed,” he said. A scorching heat wave has gripped much of western Russia since mid-June, sparking wildfires and causing the worst drought in decades.